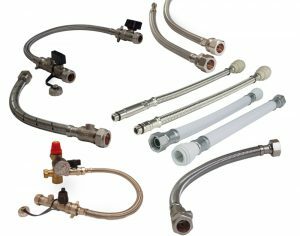 Easy to use, push-fit system suitable for the plumbing of hot and cold water services and central heating applications, including pressurised and combi systems. Speedfit plastic push-fit plumbing fittings have been designed for use with both Speedfit and copper pipe. 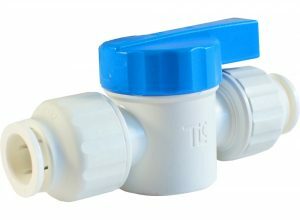 With their innovative visible connection, installers can be reassured that once the Pipelife Twistloc Plumbing Fittings green band can no longer be seen the joint is properly connected: no mistakes, no leaks and no hassle. WRAS approved. Push-fit, demountable pipe fittings ideal for general plumbing, under-floor heating and renewable energy systems. 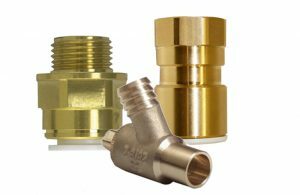 We supply a comprehensive range of high quality copper end feed fittings for use in the plumbing, heating and engineering industries. Compression fittings are suitable for use when creating joints with copper tube to EN1057 and are ideal where the use of flames is not possible or permitted. Solder Ring fittings (also known as Yorkshire fittings) are pre-soldered connectors for copper pipes. These are ideal when fitting in confined spaces. Black Iron Fittings are for use with black malleable iron piping. These fittings are specially designed for use with oil and gas as it is a durable material that withstands high temperatures and pressures. Stockists of Lead-Loc plumbing fittings, the market leader in lead pipe connector plumbing fittings. 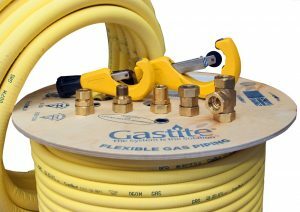 For use when a connection from an existing lead pipe to copper or plastic pipe needs to be made. 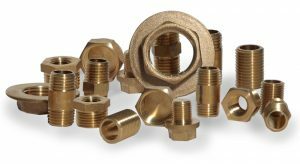 We stock range of brass threaded low pressure plumbing fittings, available in metric BSPP (British Standard Parallel Pipe) sizes. 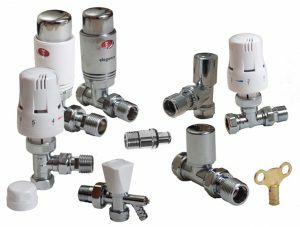 We offer a full range of high quality thermostatic radiator valves (TRVs) to control the heating in each room and to enhance the look of a radiator, as well as lock shields and decorators caps. 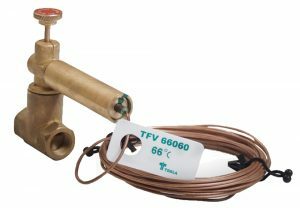 We stock BEAB approved immersion water heating products and thermostats, along with scale reducers and accessories. 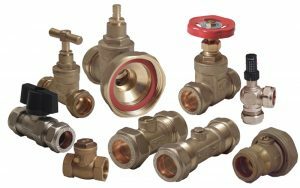 We stock an extensive selection of plumbing valves with compression fittings, along with a wide range of brassware to meet all your plumbing needs. CuBrAlco are stockists of the complete range of Gastite® Corrugated Stainless Steel Tubing (CSST) and Fittings, including contractor kits and bulk products, available ex-stock for next day delivery across the UK. 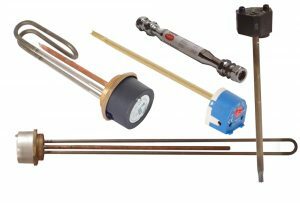 Gas cooker fittings, gascocks, valves and accessories, approved for use with LPG and Natural gas installations. 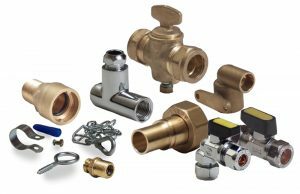 CuBrAlco stocks a range of oil line fittings and valves that includes a wide selection of OFTEC / BSRIA approved remote acting fire valves, aluminium oil filters, as well as old-style fire valves and oil tank gauges. CuBrAlco stock a wide selection plumbing consumables and tools to complete your requirements. 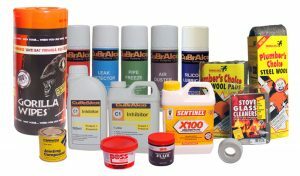 We stock popular brands, along with our own range of products and chemicals. 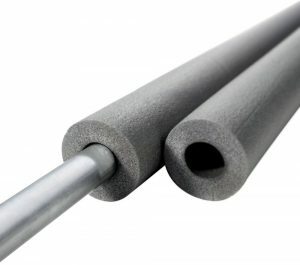 Filling loops, flexible connectors and hoses are supplied from stock in many different types and lengths for simple installation and maintenance. For domestic insulating applications such as central heating pipework or pipe insulation in loft spaces, CLIMAFLEX® offers an excellent combination of good performance and low cost. 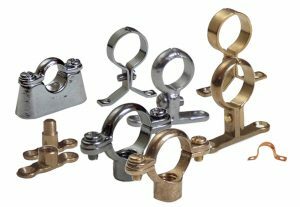 We stock an excellent range of quality brass, chrome and copper plumbing pipe brackets and supports that provide an attractive finish to exposed plumbing piping in home or commercial environments. 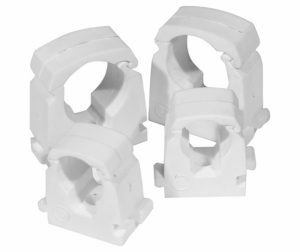 Our range of economical plastic pipe clips offer a simple solution to all plumbing pipe fitting needs, with single, double, open and locking solutions in a range of sizes. 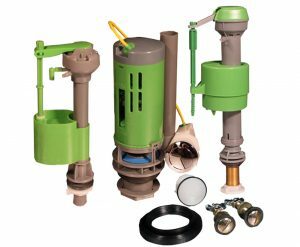 We stock a comprehensive range of Thomas Dudley water saving solutions for toilets and cisterns, along with a wide selection of cistern components, pushbuttons and spares. FlushKING products offer versatile, value for money solutions to water wastage and toilet repair. 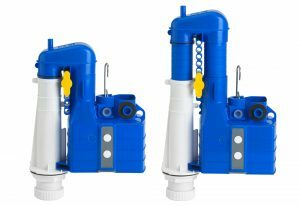 We stock a range of FlushKING toilet flush and fill valves. Registered customers order online here. To open an online account click here.